Pep Guardiola has no interest in managing England in the future. 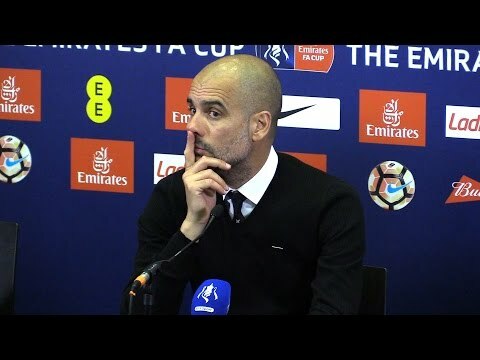 The Manchester City head coach feels that the national team jobs should be overseen by coaches within their respective countries.The Catalan tactician was discussing the difficulties of managing clubs overseas when he inevitably asked whether he would consider an approach from the Football Association, he said: "No. Always I believe in the English people has to be manager for the national team, the Brazilian people has to be manager for the Brazilian team." Guardiola is said to have previously been approached by Brazil for the national team job, but he opted to snub their advances to prolong his managerial career at club level. The 46-year-old could not quite yield his magic during his first season in charge of Manchester City as they finished third in the Premier League last season. However, there has been a vast improvement on their performances this term with Guardiola making the most of the summer window to bolster his backline which lacked the mobility. The likes of Danilo, Kyle Walker and Benjamin Mendy have been brought in to replace some of the deadwood in the squad, and although the latter is now injured, the club look to have sufficient depth with Fabian Delph recent form a bonus, having slotted in seamlessly in the left-back spot. The Citizens are currently top of the Premier League standings with 19 points after seven games played, and they are being chased by cross-town rivals Manchester United, who are only behind on goal difference. Nevertheless, the Citizens have a potential advantage over Jose Mourinho's side having clinched victories over both Liverpool and Chelsea - the latter being a convincing display at Stamford Bridge, where the Blues look fatigued due to their European excursions against Atletico Madrid in midweek.Manchester City face a testing trip to Stoke City following the international break, but they will be relatively confident of a positive result, should they continue playing in the same vein of form.